Middle Tennessee is finally getting some rain today and our bean field in front of our home truly needs the rain. 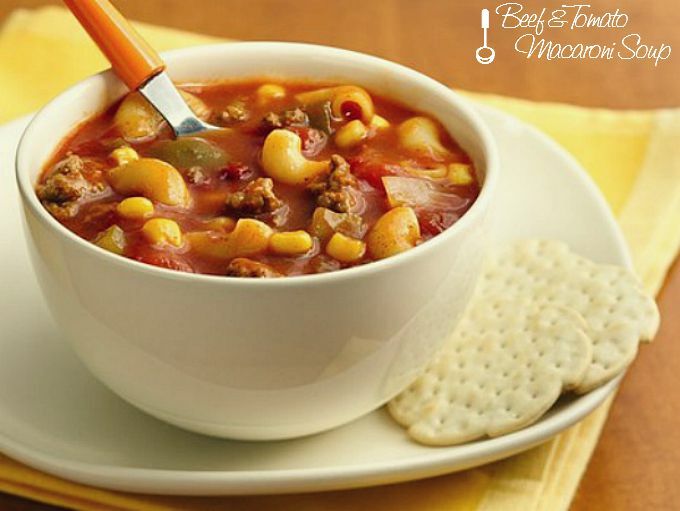 But it also puts me in the mood for soup and I am sharing a delicious, comforting recipe so try it out and let me know how you like it. Return sauteed veggies to pot along with beef broth, tomato sauce, tomatoes, Worcestershire, marjoram, thyme, bay leaves and season with salt and pepper to taste. Bring to a boil. Add in pasta, cover and reduce heat to medium,. Boil stirring occasionally, until pasta has cooked through, about 15 – 20 minutes. If adding corn, stir in corn during last 3 minutes of cooking. Oh my, pure deliciousness in a bowl!! mmm mmm goood! !